In the production of spirits, in addition to rum, wine distillates, fruit brandies, fruit juices and many other aromatic raw materials, a considerable quantity of drugs (herbs, spices and roots) are also worked with. The drugs contain both volatile and non-volatile flavourings soluble in alcohol. 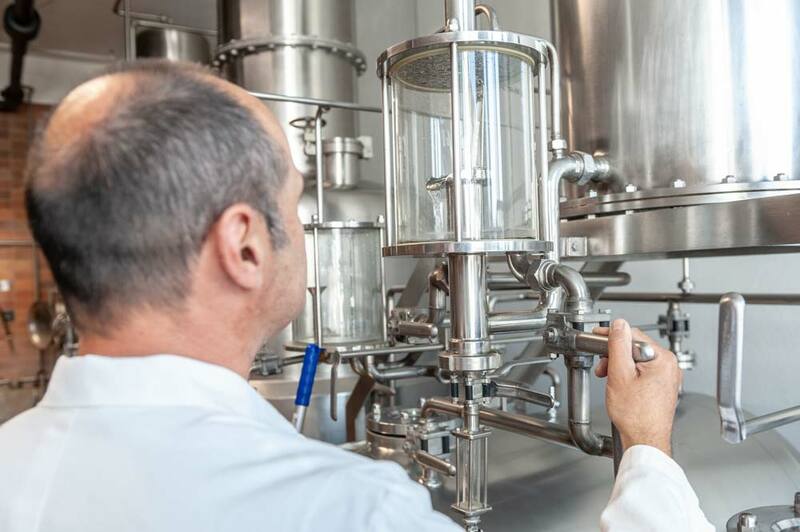 Whilst the volatile flavourings are gained during the distillation process, the non-volatile drug contents are obtained through an extraction procedure known as maceration. In the maceration process (Latin macerare: to soak) the drugs are placed in alcohol in a special receptacle. After a precisely specified time period the extract (=macerate) is drained off and processed with further ingredients to create the desired spirit. 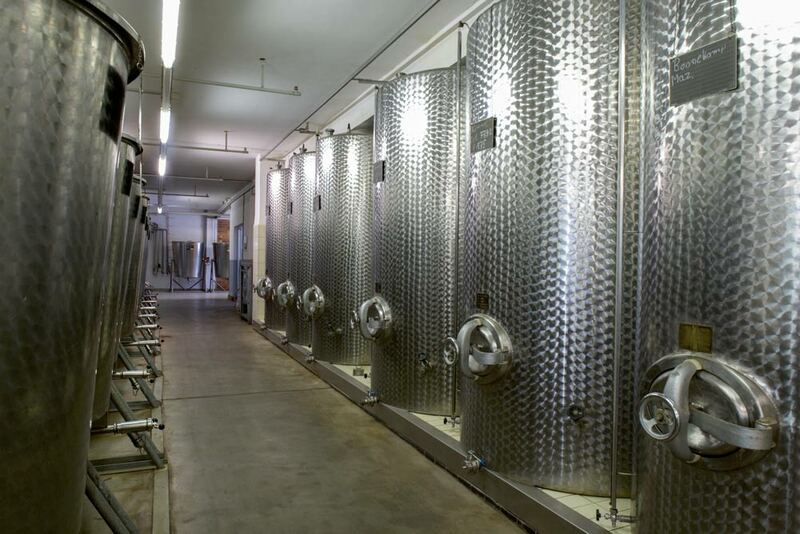 We produce the macerates, the heart of the herbs and the root liqueurs in-house. The combination of the selected herbs, roots and spices is managed by our experienced staff following our own in-house recipes. This traditional and technical knowledge is the base for premium products like Jagdbitter or Boonekamp and guaranties our extraordinary high quality standards. The drugs are also placed in alcohol in the distillation process. The separation of the very valuable volatile flavourings of a drug from its non-volatile ingredients is carried out through heating and evaporation. 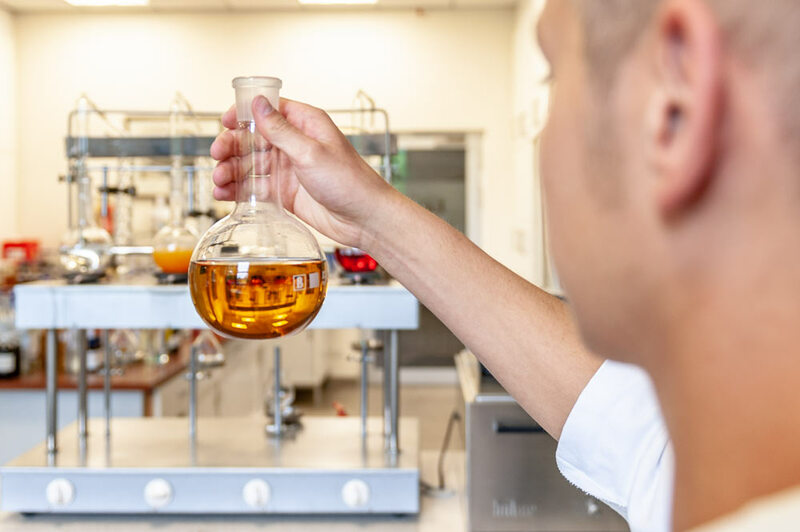 To ensure the careful treatment of the – in some cases – very sensitive aromatic ingredients, the distillation is carried out in a vacuum (oxygen extraction and boiling point decrease). The distillates acquired in this way can then be further processed with other ingredients to form the desired spirit. 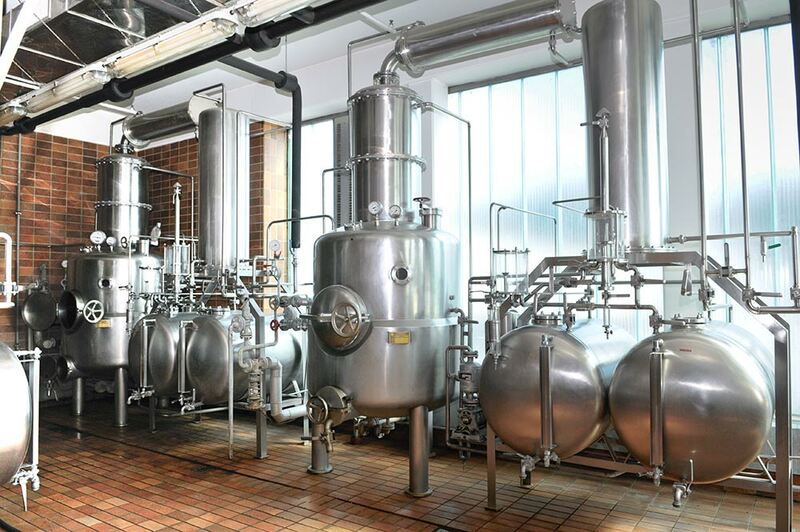 The in-house distillation plays an important role in the extraction of the highest quality essences for the recipes. 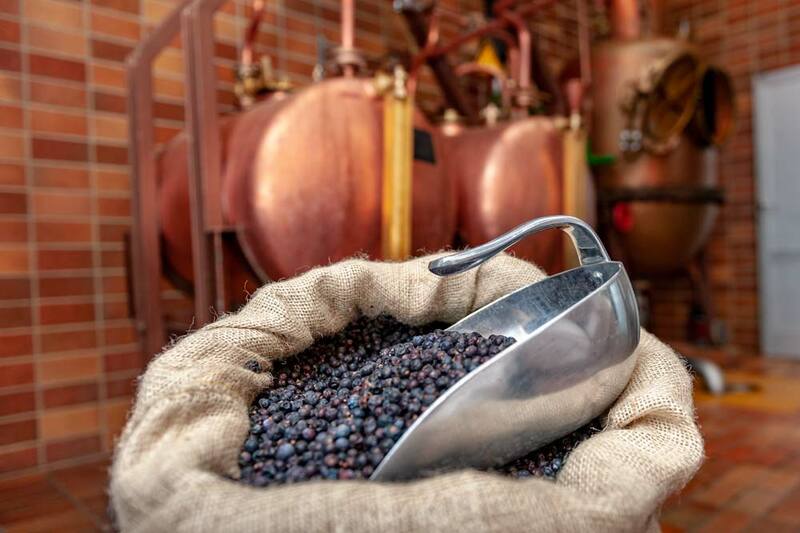 Traditional hand-crafted knowledge of the art of distillation, combined with the expertise of a modern, efficient company, form the basis for the high-quality recipes of our specialties such as Gin, Stonsdorfer or Aquavit. Quality and large production units are by no means conflicting aspects for our company. Every year we produce about 50,000,000 bottles (0,7 litres) of the most common and well-known spirits on the market. Based on our in-depth and long-standing experience and trained by the high requirements imposed by the market, a symbiosis has been created between traditional quality awareness and high productivity levels. The base for our quality system is the International Featured Standard (IFS) Food, which we have been certified since 2003. Furthermore Rola has held organic certification since 2017. 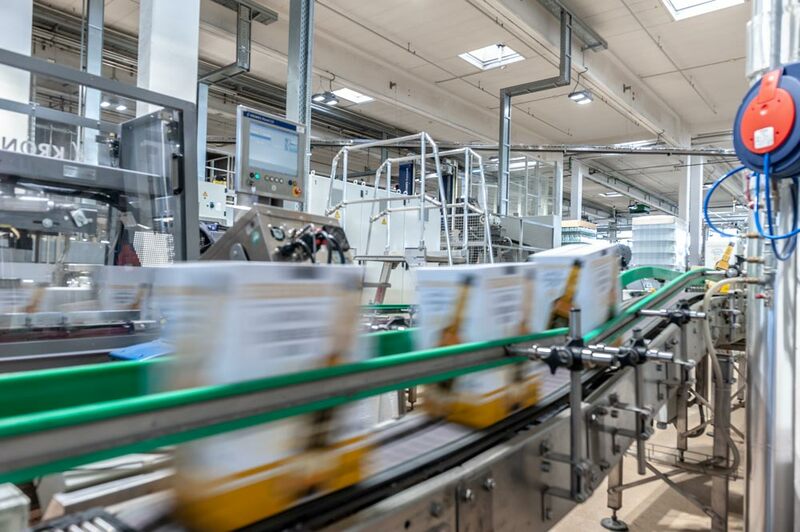 The yearly awards of the DLG, the ISW and the awarding of the Bundesehrenpreis for several years shows, that our effort to constantly improve the quality of our products is the right way. New developments must be detected in good time and converted into products and for this we build on our rich experience in all areas of the spirits sector. We produce nearly all brands of liqueurs and spirits in-house. National specialties are imported from many countries across the world and bottled in our facilities. We place great emphasis here on modern, attractive designs whereby both traditional labelling techniques and modern techniques such as non label-labelling, sleeve technology and bottle-printing are used.